It’s all about the details. That’s the charm with Burcot. 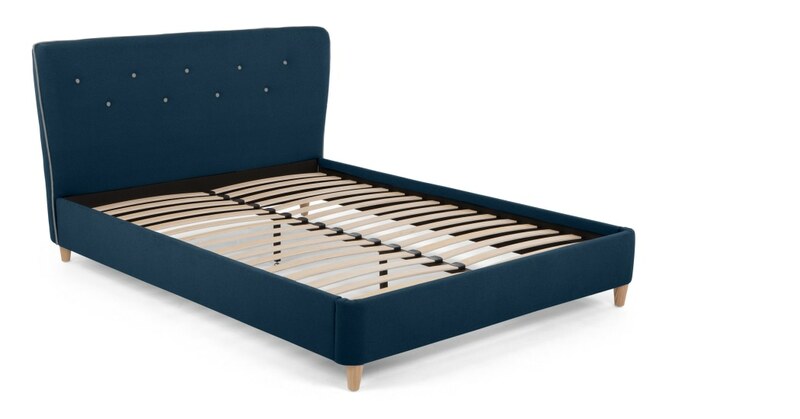 The buttoned backrest and the piping around the headboard, both in contrasting colours. Burcot was a limited edition release. But our customers loved it so much, we decided to bring it back. We think it’s the balance of good design, practicality and affordability. You have to love the cocoon-shaped headboard. Slightly curved to cup you in at night time.